Before we slowly transition into the sound of technology historian Juval Noah Harari introduces us to techno-religions by explaining communism. In his words communism as the first techno-religion caused us to define ourselves by how we think about technology and economics. And that changed our entire ideological discourse. 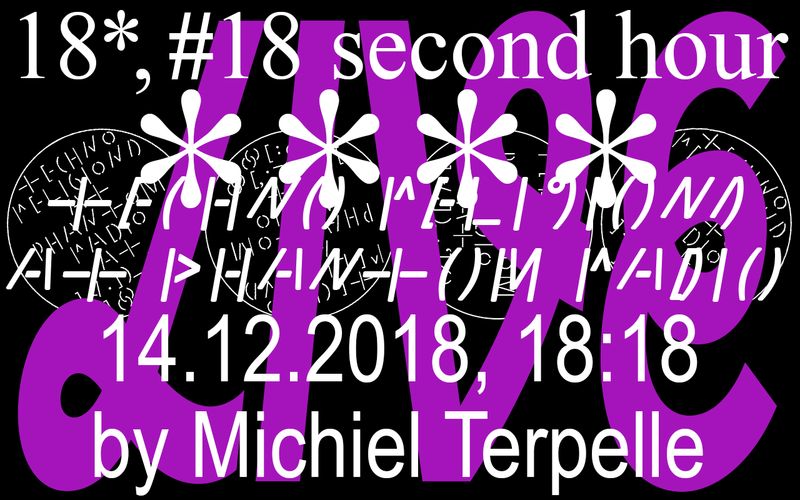 The second hour of 18*, #18 delves into the ongoing relationship humankind has with technology by blending excerpts from lectures, interviews and performances together with electronic music. Allow yourself to be provoked, listen zealously, look around and realise you are entrapped by technology and electricity.